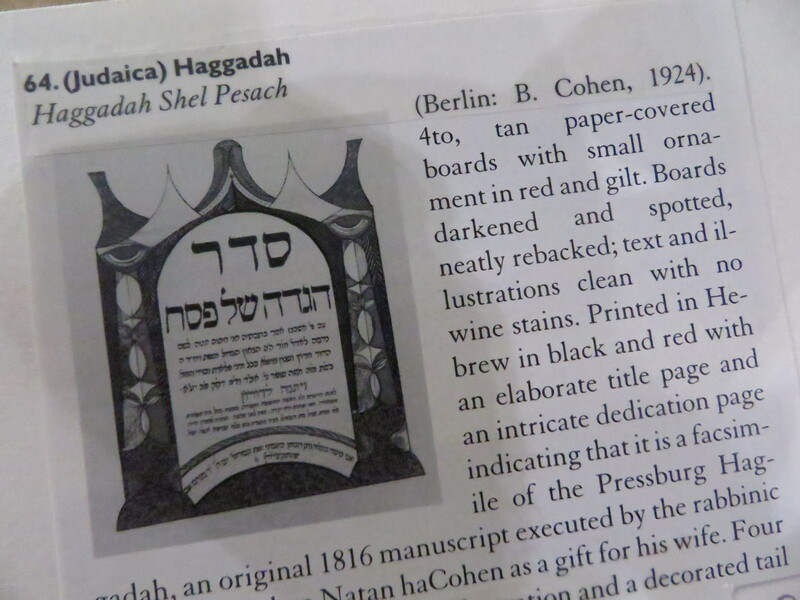 I saw this 1924 facsimile copy of the Pressburg Haggadah at Marilyn Braiterman Rare Books this year at the New York Antiquarian Book Fair. I’m sure I’m getting details wrong but apparently the ms. was presented to the Chatam Sofer to mark his wedding to Sorel, daughter of R. Akiva Eger, in 1815. You can see the German translation in Hebrew script constituting the top of the left column of the page. The original illuminated figures are crude, while the use of color is sparing and quite delicate. No, Moshe ben Natan was no great artistic talent. The architectural exteriors and interiors seem all misshapen. 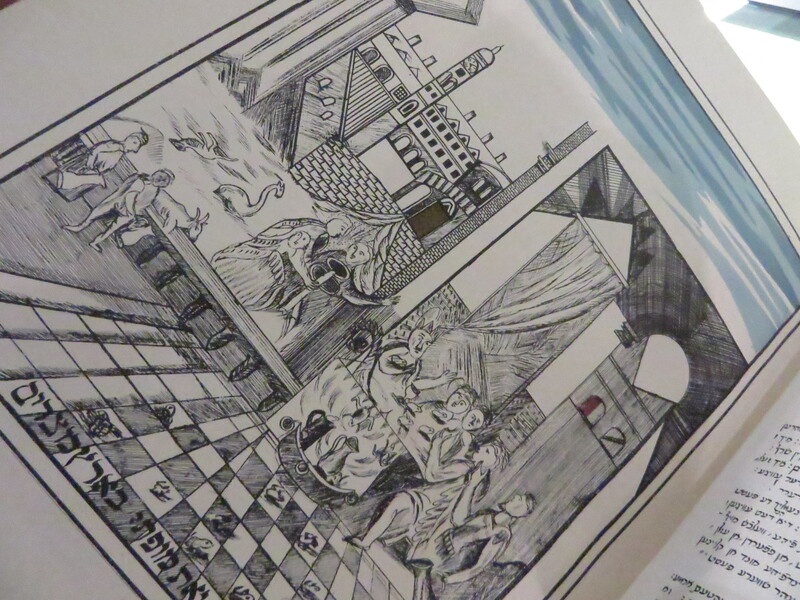 I wonder why he chose or was asked to illustrate the plague of frogs in the king’s palace, as this is a fairly atypical choice. I’m wondering if it was intended as a rebuke of court Jews in the service of gentile rule. 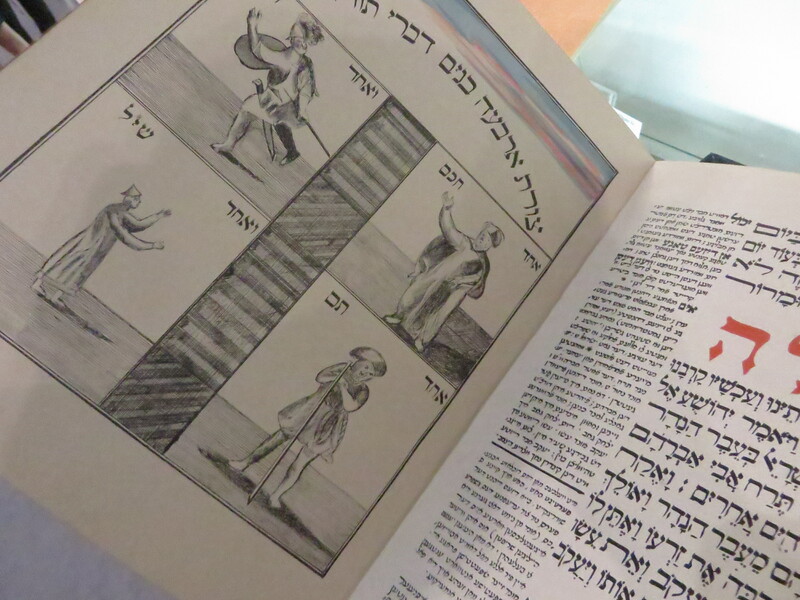 I’ll note that that this book, with its art and German translation, was in the possession of the Hatam Sofer, a dedicated opponent to Haskalah, or Jewish Enlightenment. 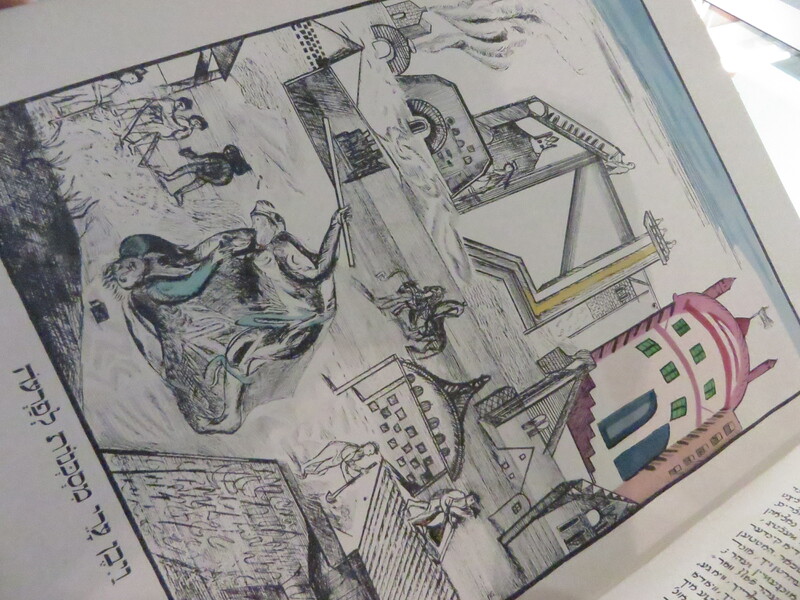 On both counts, the Pressburg Haggadah would run counter to the grain of what one might ordinarily expect of someone of the Hatam Sofer’s reputation or from his social milieu. 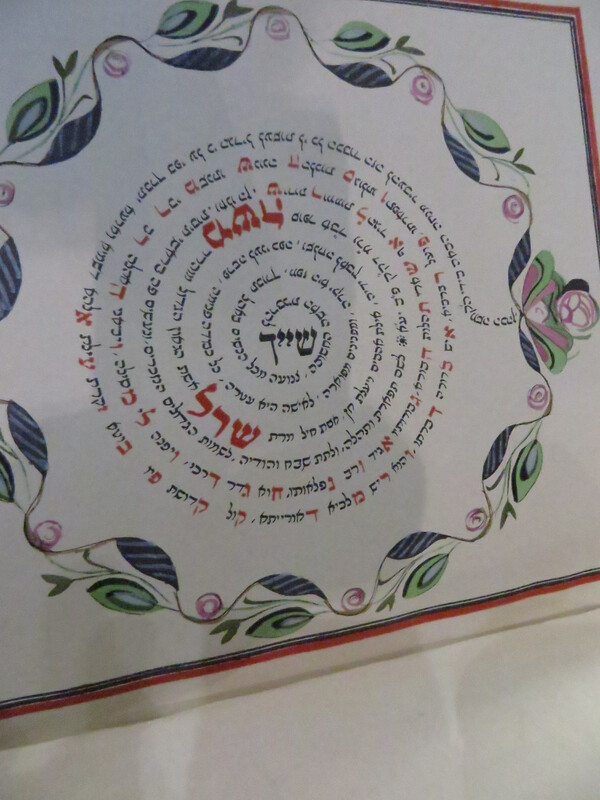 In bold letters, the acrostic spells out שרל אשת הגאון הגדול מוהרר משה סופר אב”ד ור”מ דק”ק פ”ב יע”א, or, Sorel, wife of the great Gaon my Master and Rabbi Moshe Sofer, Chief Rabbi and Rosh Yeshiva of the Holy Congregation of Pressburg, God protect it. 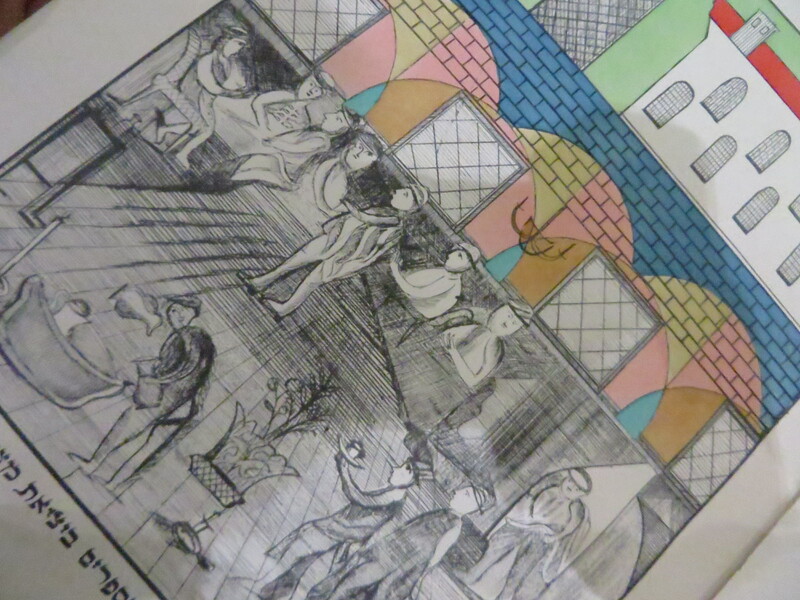 This entry was posted in uncategorized and tagged art, Judaism, Passover, Shabbat & holidays. Bookmark the permalink.